The James H Bean School has several new murals thanks to a very talented staff member. Thank you to Ms. Lorraine Bonczyk for coming in over the summer to paint these masterpieces for JHB students. 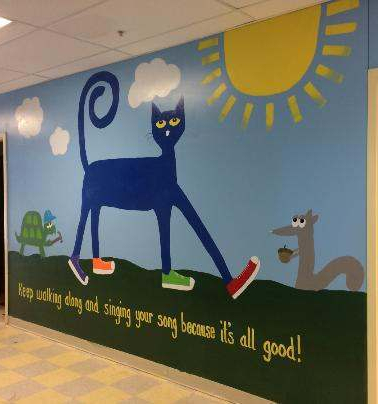 The mural of “Pete the Cat” stands over 8 feet tall and 15 feet wide! Other paintings include pictures to get students attention and make them feel welcomed and cared for.